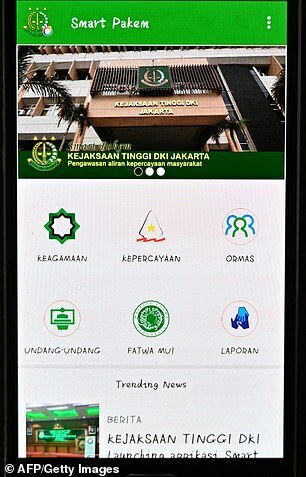 A new Indonesian government app allows users to report suspected cases of religious heresy with a tap of their finger. It has drawn fire as rights groups warn it could aggravate persecution of minorities in the world’s biggest Muslim-majority nation. 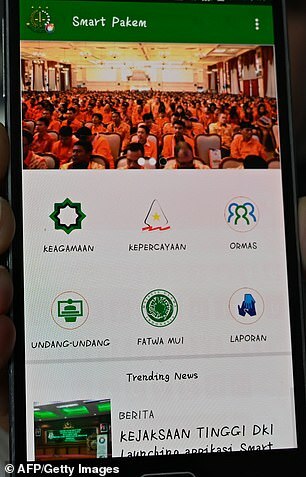 Users of the app can report groups practising unrecognised faiths or unorthodox interpretations of Indonesia’s six officially recognised religions, including Islam, Hinduism, Christianity and Buddhism. ‘Smart Pakem’, which was launched on Sunday and is available for free in Google’s Play store, was created by the Jakarta Prosecutor’s Office, which said it would help educate the public and modernise the current reporting process. The app will also list religious edicts and blacklisted organisations and allow users to file complaints instantaneously, instead of going through the often cumbersome process of submitting a written accusation to a government office. ‘The objective…is to provide easier access to information about the spread of beliefs in Indonesia, to educate the public and to prevent them from following doctrines from an individual or a group that are not in line with the regulations,’ Nirwan Nawawi, a spokesman for the prosecutor’s office, told AFP in a statement. However, rights groups fear the application could be misused by increasingly powerful hardline Islamic groups and widen divisions in a country where harassment of religious and other minorities is not uncommon. ‘This is going from bad to worse – another dangerous step to discriminate religious minorities in Indonesia,’ said Human Rights Watch researcher Andreas Harsono. Hundreds of thousands of people across the sprawling Southeast Asian archipelago who adhere to non-recognised animist and mystical faiths have long suffered discrimination and limited access to public services. This year an angry mob rampaged through a small community of the Ahmadiyya Islamic minority on the island of Lombok, destroying homes and forcing dozens of worshippers to flee. The religious sect has been declared heretical by the Indonesian Ulema Council (MUI). Indonesia, a 17,000 island archipelago nation, is often touted for its diversity and religious tolerance, but it has a wide-ranging blasphemy law that has sparked a backlash. Criticising religion – particularly Islam, which is followed by nearly 90 percent of Indonesia’s 260 million citizens – can land offenders in jail. This summer, an ethnic Chinese Buddhist was jailed for insulting Islam after asking her neighbourhood mosque to lower its sound system during the daily call to prayer because she found it too loud.